Hey Contra, what are your thoughts on this medal? Just curious. Thanks. It's the same practice as most coin shops' and pawnshops' dealers; they buy back numismatic coins from collectors at melt (or even a few percent below melt) then they sell at profit (10, 20 and even 40 times of melt for rare coins). Most coin shops are spoiled by people bringing in rare coins and selling them for melt that they don't need to buy coins from knowledgeable collectors at any premium unless they know the coins very well (coins shops buy everything so they have to be careful not to pay a premium for something that maybe a fake simply because they don't specialize in coins from that country or time period). By the same token knowledgeable collectors should understand the value of their collectibles and know the best venue to sell them for 70-80% of market value in a flat market and 90-100% of market value in a rising market. If you really want a fair price for your coins sell them on ebay or go to coin show and find someone that specialize in the types of coins you are selling and they will pay a fair price for the coins. Pawnshops are the worst places to sell; they completely ignored numismatic value when they're buying-in, they only recognize numismatic value when they're selling. Contra/anyone, what does this mean (from the link above): "A word to the wise --- stick to investment grade Chinese coins/medals; those manufactured by the China mints." What is an investment grade? Thanks. 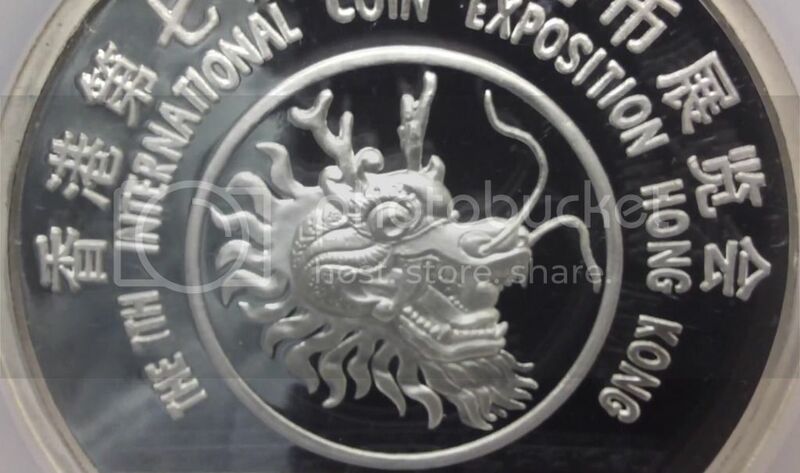 This is a medal from Shenyang Mint, by the same artist who had designed and engraved the Putuo medals. The 45 mm Putuo bronze medal rose from RMB160 half a year ago to about RMB400 now. Nice return for anyone with investment in mind. My opinion for what pandaguy meant = only buy official mints' coins/medals and graded in PCGS/NGC slabs. My opinion for "investment grade" is MS/PR60+. Unless it is an extremely rare coin that is valuable in any grade. My opinion is to only buy official mint coins or medals either raw or graded by PCGS/NGC. Many prefer raw, which is fine. There are many fantastic-looking non-mint issue medals that some people like to collect for their beauty. However, for various reasons, some collectors may shy away from non-mint issued medals. However, if I like it, I buy it. It is entirely a personal preference. volatility, thus most risk, both upside and downside. I have had some gorgeous 66 coins, but price performance wise I like high grade. One of our CCF members regularly does well purchasing from Pawn shops. He sold some valuable/profitable beauties to me years ago and still posts amazing finds. each middleman is. Sellers with turnover needs can seem generous. the table for the buyer. They ignore their numismatic homework probably for convenience. Hello everyone, just eyeing this one, and wanted to get your take. look real to you? sure does look awfully new, but maybe they kept it in great condition? I don't know about the entire Chinese medal market, but for sure certain Chinese medals are clearly selling well these days I think....A) there has been recent strong interest in the 2011 Xi-Shi Holding a Pearl medal and B) interest in the 2014 World Heritage series seems to be picking up. I'm sure other medals are also seeing good movement in the market as well. Which medals do you think are getting attention in the market now? 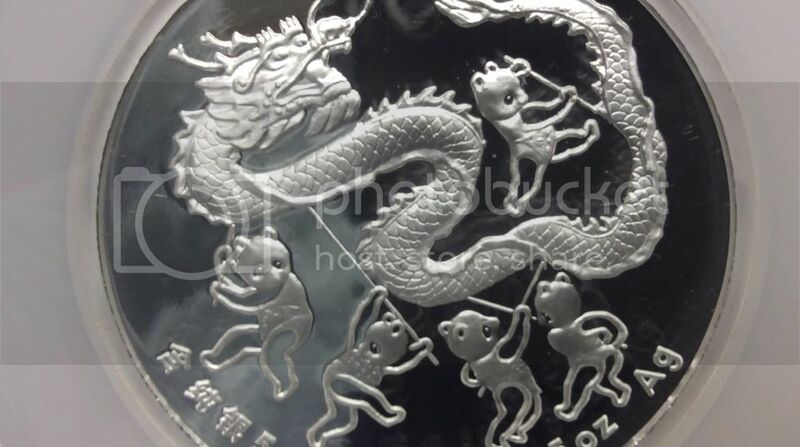 I am so glad so glad I didn't put much money into the Chinese silver and gold coin market. After some successes back in 2009 with some Chinese coins I bought a few more in 2012. I lost some but I was looking at some of the prices and wow, what a collapse. Really silver and gold coins across the board. On top of that you have to worry about the black and white spots that seem to plague Chinese coins or world coins in general. I buy a couple coins a year now. I just bought my first coin of this year. But since the prices have collapse I might buy a few more, but I still won't buy more than a few a year. I think I will stick to banknotes since they don't have the hype nor the metal fluctuations nor the condition problems that coins do. amen to that birdman. I'd take this with white spots all day any day, every day over paper with ink. BUT, to your point, to each his own.